Our 18 hole, par 72 championship course has been entertaining golfers in the Granbury area for over 10 years. Our course features Bermuda-grass tees, greens and fairways and 3 sets of tee boxes to accommodate all abilities. 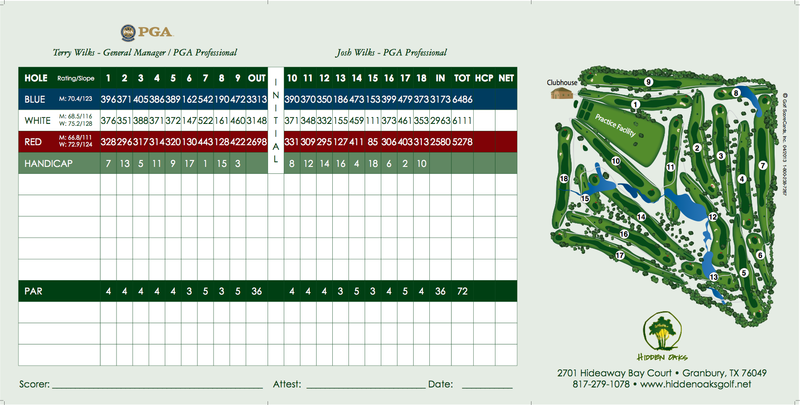 The course has a rating is 70.4 and a slope of 123. Since we opened in 1997 we have served golfers from the DFW area and beyond. Our course was designed by Rex Worrell.